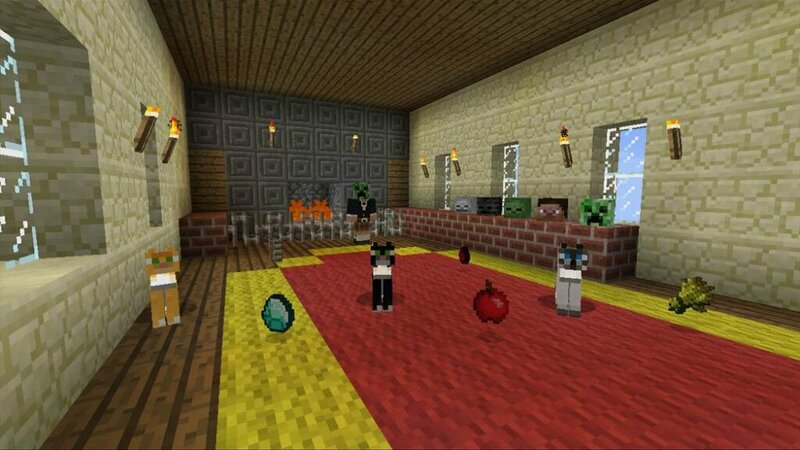 We finally have the confirmed list of changes and additions included in the next Minecraft: Xbox 360 Edition Title Update 12. Many of these items and tweeks will contribute to syncing the Xbox version up with its PC brother, but will not add the highly desirable horse mounts just yet. 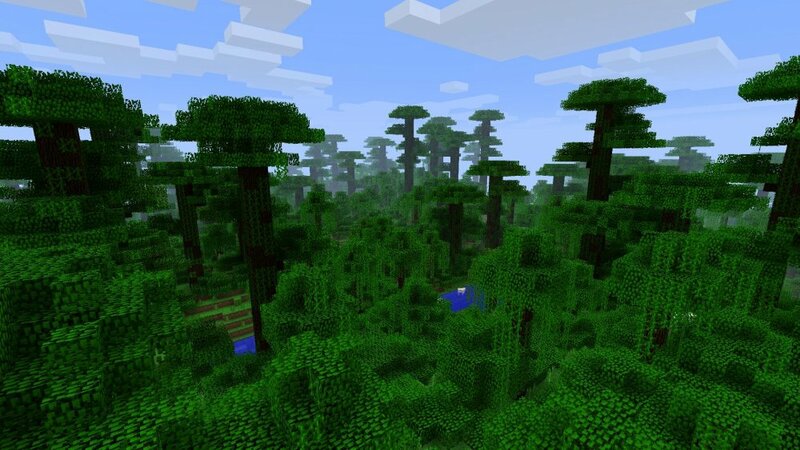 The first most noticeable difference will be the inclusion of jungle biomes (again, a new world must be created for these to appear), with new wild cats called “ocelots” that can be tamed into pet cats. These cats are very valuable, minus their cuddly cuteness, as they can ward off the infamous Creeper like bug repellent. Cocoa collected from the jungle trees can also be used to make delicious chocolate for all those tasty treats. The second major difference comes from the major height increase in world maps, rising to double what they are now (up to 256 blocks from the original 128). To fill these newly enlarged worlds, villagers will be able to generate babies and create families of their own, while enemy heads can be collected for personal decoration (think Futurama). It’s fair to mention that the long awaited functionality for customizable textures will be added in, but the actual packs themselves will come in spurts later on (made available through the in-game store). New map height limit (256 instead of 128). Slabs and Stairs can be placed upside-down by placing them below a block. Added Corner Stairs and upside down Corner Stairs. Added dispensing Boats and Minecarts to Dispenser. Added rare drops for Mobs. Villagers will have children if there is room in their village. Zombie sieges will occur occasionally at night. Zombies break down doors on Hard Mode. Crafting recipe for ladder now yields 3 ladders instead of 2. Placing blocks on grass will replace it. Lava now has a faint rumbling sound effect, and large particles that hop out of the lava produce a popping sound. Very rare Desert Wells can be found in Desert biomes. Increased max boats in a world to 40. When in the Nether, Snow Golems will melt and die same as when they are in Desert biomes. Abandoned Mineshafts can generate with wooden bridges now when generated over a cave or over top another tunnel. Doors have been updated so that double doors work better with Redstone. Added a Favorites tab to the Skin Selector menu, storing most recently used skins. Added support for Texture Packs and Mash-up Packs, and display of these in the Minecraft Store. Fixed local player shadows not being displayed. Fixed a few issues with the Privileges settings. Fixed visible seams in clouds. Fixed 3rd person camera issues with water, where the underwater filter would be randomly removed. Fix for structures generating at the edge of a world. Fix for putting enchanted items in a Minecart With Chest and destroying it removes the enchantments. Fix for breaking a bow having improper animation. Fix to make Minecarts run at the correct speed. Fixed a few memory leaks. Fixed issue with "Can Open Containers" option. Fixed issues with "Can Build and Mine" option. Fixed Issue with TNT blocks being triggered by explosions even with "TNT explodes" option off. Fixed Wolves not tilting their heads when the player has a bone in their hand. Fixed the color of Potion particles status effect to match the Potion color. Fix for doors spitting in half and glitching in open/closed motion when mined. Fixed artifacts on edge of flames when in first person. Fixed a lot of game lighting issues. Page created in 0.3127 seconds.